After submitting all of the paperwork for a Croatian visa and attending your interview with the Policija, there are still a few more steps before receiving visa. 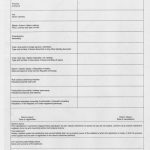 Once all of your documents are evaluated by the police case worker, the Policija will contact you to let you know whether or not your application has been approved. However, don't hang your hat on getting a call. You may want to periodically follow up in person to check the status. Upon approval, return to the Policija station where the application was submitted. At this time, you'll be asked to provide a passport photo and pay the application fee. The passport photo must be 3 x 3.5 cm. As the standard passport photo sizes and standards vary by country, it is possible that photos brought with you from another country will not work. If you are unsure of the size, there is typically a photo shop near each main police station that will take your picture and provide photos that meet the guidelines for Croatia. For a package of passport photos, the cost ranges from 50 to 100 kuna. The application fee will also vary depending on the type of application you have submitted and your nationality. For EU nationals and their spouses, the fee at the time of this posting is 240 kuna. The fee for some non-EU nationals is 480 kuna. The fee should have been presented to you at the very beginning of your application process as it is stated on the requirements document the police provides. To make the payment, you'll be given a payment slip (one per person) that you'll take to a bank to pay. After payment, provide the green carbon copy of the payment slip to the police as proof. They will NOT accept the bank payment print out (with the bank logo). It must be the carbon of the original slip the police gave you. Next, they will get your finger prints. Using an electronic pad, you'll provide finger prints for your pointer fingers on each hand only. After providing your payment receipt, passport photo and finger prints, your ID card still needs to be prepared. Depending on the station's backlog, this could take a few weeks. You'll be given a card (pictured above) that will allow you to pick up your visa once it is ready. Keep this card in an extremely safe place until you pick up your visa. Lastly, pick up your visa then celebrate the end to your long, exhausting, traumatic visa experience with the largest glass of rakija known to man. My husband is Croatian and I want to go get my ID card from Rijeka this August. Is it possible to do some of the processes via online prior to my arrival there? You cannot do it online. It must be done in person at a Policija station with an immigration department. You may be able to get the process started at an embassy (not a consulate) in your home country. I'm planing to get a temporary visa for Croatia, where I live with my fiancee. One of the required criteria is a blank account statement with enough money for living, however they thid not specify how much exactly I nedd . Thanks for reaching out! The policija will normally tell you how much you need to have on account. I’ve heard them ask for as much as 27,000kuna and as little as 2,000kuna. It all depends on your situation. 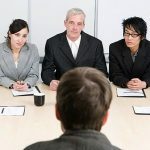 However, they typically ask for more if it is your first visa, so be prepared for that. can you go in another state with dozvola boravka like a tourist for exempale in italy or slovenia ? Thank you for the question! Your residence permit does not give you extra benefits when traveling to countries outside Croatia since you must travel on your passport. I have a rental property in Istria. I have had it since 2005 and let through a local agency. Today my wife and I went with a friend to the local Police station to start the citizenship application process. I was expecting the usual hours of queuing, mounds of paper and official stamps etc. So we were second in the queue (was about 20th for my OIB application where I lost half a day of my life and the will to live). My friend explained to the official that we wanted registry. We were told to return with proof of income, copies of passports and that’s it. We will get yearly visas until our application is processed approx 4 years. Whilst delighted with the outcome today, I have been around here too often to expect a fast and clear process. I intend to get copies of birth certificates, marriage certificate, proof of UK address, proof of Croatian address, pension entitlement, etc. etc. Thank you for sharing your experience! Please keep us posted on your application’s progress and any hiccups that arise. Good luck! Thank you for a very informative blog, there is a lot to take in and I hope you could help me clarify few points. 1. I have seen somewhere on your forum that EU citizens do now need to apply for a temporary one year visa, but they just need to register an address and pay for health insurance – is that the case? If so, we still need to pay for the rent for the whole year upfront to get the address registered? Or can we rent for several months, and once we buy a property we register our own address with Policija? Also, do we have to show the proof of funds to Policja that we can afford to stay in Croatia for a year? 2. Because we are planning to stay indefinitely, at what point can we apply for Croatian id/ permanent residency? Can we apply for a permanent residency visa without having a temporary residency first? 3. Do you have a recommendation for us which estate agents to use to buy a property around Split/Trogir? 4. Do you have a recommendation for an English speaking lawyer, who we can engage with when we arrive in Croatia? Hope my questions make sense. Yes and no. To clarify, you will need to apply for a residence permit. Upon approval (which should not be difficult as EU citizens), you’ll be approved a permit for 5 years. As part of this process, you’ll register your address. You may exchange your health insurance policy if you have a state funded one in your home country. You must wait 5 years. I recommend reading this new post. I do not. I recommend posting in one of the Expat groups. Yes, please email me and I’ll send you the contact details. I got married with croatian women. I have for 5 year residence card. Can i travel to europe? If you have a 5-year residence card for Croatia, then you can live in Croatia. You may travel to other countries in Europe based on your nationality, not your residence in Croatia. Nowadays I am studying at the Univeristy of Dubrovnik as an Erasmus student. I applied for stay permit at the police office. Everything was just like you have explained. Now I am waiting for my ID Card (I hope). My question is , where I can travel with this Croatian ID? I mean which countries. You cannot travel anywhere outside Croatia with your Croatia ID. When traveling outside Croatia, you must use a passport and must submit to the travel restrictions and requirements associated with that nationality. 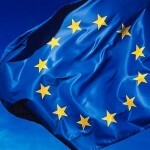 Only citizens of Croatia can travel on their Croatia ID, and even then, only in the EU. It is a very useful article indeed. I moved to Zagreb 2 month ago from Hungary. For about a month I also have a job in Croatia, so my income is let’s say “covered”. I already managed to sort out my tax card, got OIB number and have my residency confirmed by the police. Today I have also applied for residence card. Do I miss any more documentations? Do I need to get a national ID or it’s optional? Since I have Hungarian ID, it’s almost the same, so if it wouldn’t be a big difference I wouldn’t go through the whole procedure for it. Your residence card is the same as your national ID. Once you get that, you’ll be done. Good question! You’ll need to return to the Ministry of Finance to request a new copy. Next month I’m getting married with my Croatian husband, I’m from a non eu country. My question is how long it will take me to get a Croatian ID card (licnu kartu). I would love to get this soon as I would like to travel to UK to visit my sister. 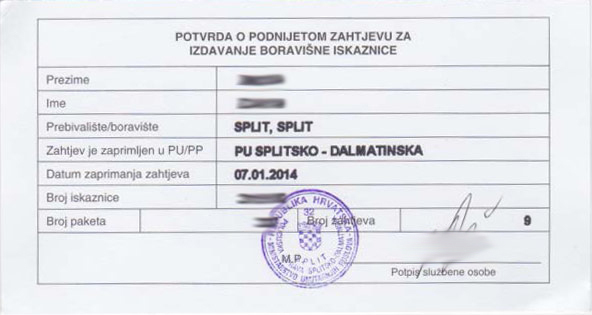 First, I recommend reading this post: https://www.expatincroatia.com/apply-non-croatian-spouse-residence-permit/ It can take up to a few months to get your ID card after you apply. Second, your residency in Croatia has nothing to do with any other country. Entry to other countries is based on your nationality, not on where you have residency. You can enter the UK based on your nationality. 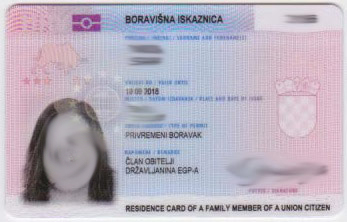 Hey can I travel to Europe with hrvatska residence card? 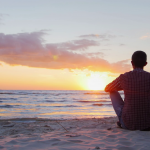 The Croatian residence card does not give you extra benefits when traveling within Europe. You will need to travel on your passport for your nationality. Only Croatian citizens can travel within the EU on their identity card.